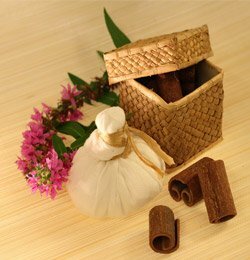 Ojus Health offers a unique blend of Ayurveda and Yoga treatment for those looking for a natural way to health and wellness. We use the two ancient sciences to provide you a holistic therapy and exercise regimen that is customised just for you. At Ojus Health, we take away the stress and tiredness caused by hectic daily schedules, and help rejuvenate your mind and your body. Our Ayurvedic clinic in Melbourne focuses on Ayurveda and Yoga and helps you to harmonise your doshas, nerves and musculature so you can live a healthy and stress free life. To realise this need for harmony, let us help you understand the concept of doshas first. According to Ayurveda, doshas refer to the different composition structures of the human body. 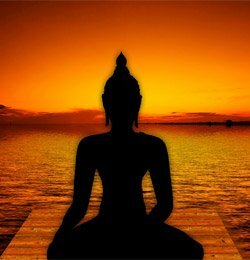 There are three categories of doshas: Vata, Pitta and Kapha, and each is different in the mix of the essential elements that form life: earth, water, fire, air and ether. This implies that we all have a different dosha and even the natural therapy we need depends on the Ayurveda practitioners correctly understanding our type, and prescribing specific treatment and exercises to take care of problems. It is essential to maintain equilibrium of the doshas to keep you in robust health without any fatigue or illness. 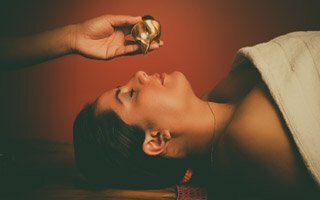 Why Ojus for Ayurveda in Melbourne? Our experienced Ayurveda practitioners in Melbourne ensure your doshas are in sync with your Agni (your metabolism levels). This helps to enhance your senses, tissues and digestion works keeping you healthy. Our Ayurvedic clinic in Melbourne helps you to have a good health with the subconscious workings of your body and your conscious state of awareness. 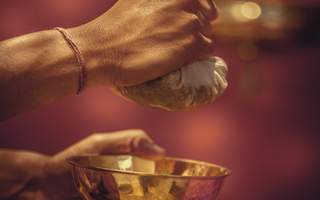 We are what you need if you are searching for a centre for Ayurveda in Melbourne. Our team of Ayurveda practitioners help you to understand your body and the areas that are causing your problems. More often than not, the symptoms manifest themselves in areas that are not the cause of the problem, and only experts such as our Ayurveda practitioners in Melbourne can help you find the causality and eradicate it from its roots. The holistic treatment offered by our Ayurvedic clinic in Melbourne helps you to build your body’s physical health and mental strength. In addition, our Ayurveda practitioners enable you to notice the subtle differences that may lead to ill health and allow you to take the necessary preventive measures. Ojus means the vital nectar, the essential energy of life in Ayurveda texts. 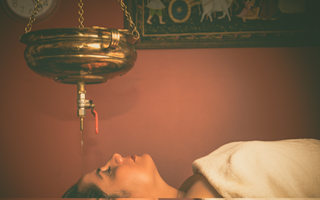 Ayurveda is the traditional system of medicine originated in India around 5000 years ago. Ayurveda means "Science of Life" that is based on the principles of living, prevention of disease and treating the root cause of diseases. Ayurveda texts define health as a state where "All the doshas(body humors) must be in equilibrium, the digestive fire(agni) must be in a balanced state and the tissues (dhatus) and body wastes(malas) must work in a normal state. The sensory and motor organs mind and soul must also be in a pleasant state"
Doshas are the basis of health and disease in Ayurvedic Medicine. There are three Doshas or humors - Vata, Pitta and Kapha. 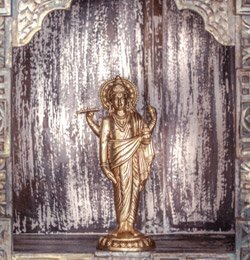 Doshas represent the working of Five Primary Elements - earth, water, fire, air and ether. Vata dosha is predominantly air and ether based, Pitta dosha is predominately fire and water based and Kapha dosha is predominately water and earth based. 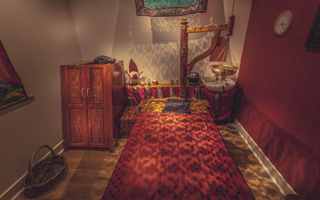 *Rejuvenating Ayurvedic experience. I highly recommend Dr Naveen. I was experiencing chronic insomnia, sluggishness and was lacking energy. After undergoing the prescribed treatment plan that included Panchakarma, Shirodhara, massage, dietary changes, yoga, breathing exercises, meditation, and herbal supplements, I feel a significant improvement in my general wellbeing. I now get a deep and restful sleep and wake up feeling refreshed. Overall, there is a feeling of lightness and renewed energy. Thank you, Dr Naveen, for helping me bounce back to renewed health. * I have been suffering from severe joint pain with inflammation in my knees for over a year and have spent lots of money and tried various treatments and nothing has worked until I discovered Ayurveda Medicine! I cannot believe after 6 treatments of Janu Basti my knees are less swollen and the inflammation has vanished dramatically! I would like to thank Dr Naveen Kumar for his expert advice, caring approach and professionalism. I highly recommend this service to others who are suffering from terrible joint pain and Ayurveda for any other medical condition. May God bless Dr Naveen and staff. * I had an eye disorder for which I was advised surgery but after few sessions of Netra Tarpna (Ayurvedic eye treatment) with Dr Naveen Kumar my eye condition has improved by 90%. Highly recommend him for expert ayurveda advice. Disclaimer * Testimonials are based on individual experiences. Results will vary from person to person.